IPSY July 2015 unboxing + mini review - Filosophie! What Ipsy is: Ipsy is a monthly beauty subscription box with ~5 deluxe samples of makeup, skincare and body care products. 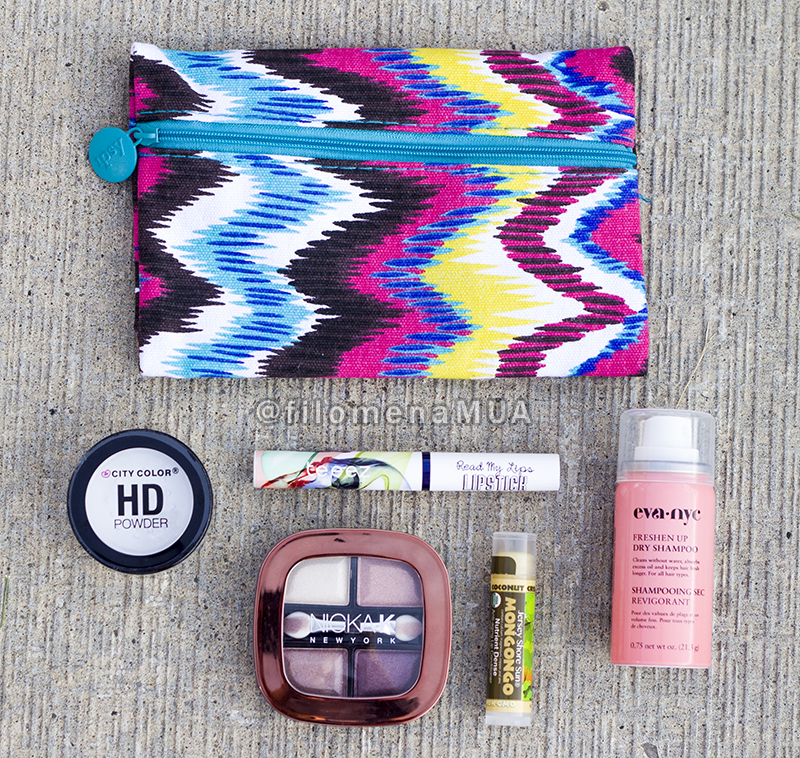 You can purchase the Ipsy bag here (affiliate) for $10USD/month (+$4.95USD shipping for Canadians). 100% natural and USDA certified organic. This conditioner will leave your lips silky-smooth, luscious and hydrated! Mongongo oil has hydrating, regenerating and restructuring properties and offers a unique protection from UV and environmental pollutants in skin applications. Mongongo oil is rich in calcium, magnesium, zinc, cooper and anti-oxidants. Mongongo oil is derived from a fruit which some consider a tree nut. What I say: I'm a big fan of chapstick/lip balms/treatments because my lips are perpetually dry and so I'm one of those people who actually enjoy receiving these. This one smells D-I-V-I-N-E. The scent is "vanilla coconut cream" and that is exactly what it smells like. It's extremely moisturizing and it's my favourite item in the bag. *sunflower oil, *beeswax, *cocoa butter, *organic vanilla flavor, *mongongo oil, *organic coconut flavor, vitamin e, *rosemary extract, *calendula extract. Promo code: 50% off Jersey Shore Cosmetics using code, "ipsy50". Experience radiant color and exceptional wear with the new HQ Quad Eyeshadows. Available in expertly curated, complementary color combinations, each quad features shades optimal for highlighting, contouring, and defining the eyes. They boast an incredible formula with buttery smooth pigmentation, that seamlessly applies and blends. Long lasting wear without creasing or fading. Vibrant and richly pigmented formula. Smoothly applies and blends with minimal fallout. Luxe, rust-resistant, faux metal finish outer with large color preview window. Each quad is designed to seamlessly create both dramatic and neutral eye looks. 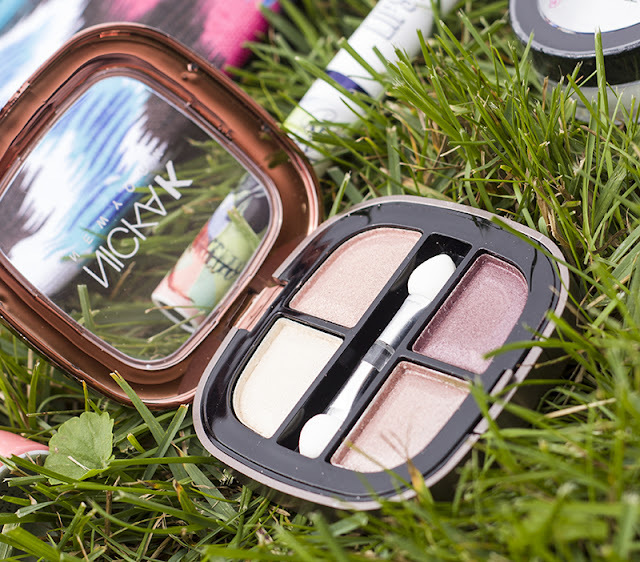 What I say: I've used Nicka K products before and liked them. One thing I was surprised about was how buttery these feel. 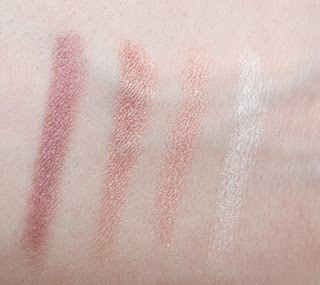 They feel extremely soft and lovely to touch and blend for their price point! One thing I will say is their pigmentation could be better. Pretty standard colours, after blending the purple tone it ends up looking almost warm brown. Promo code: 20% off nicka.com using code, IPSY. This long-lasting lipstick combines the power of highly-pigmented coverage and a unique satin, matte finish. The lipstick’s smooth, ultra creamy texture and added coconut oil extract nourishes and hydrates the lips, with color that lasts for up to 8 hours. ipsters who receive this product will receive the shade Killing Me Softly (light red). What I say: This is an extremely pigmented lip product. the colour, killing me softly is a beautiful, bright coral shade that's trendy this season. It's a shade most ages and skin tones can wear so this will likely be a good match for most people. 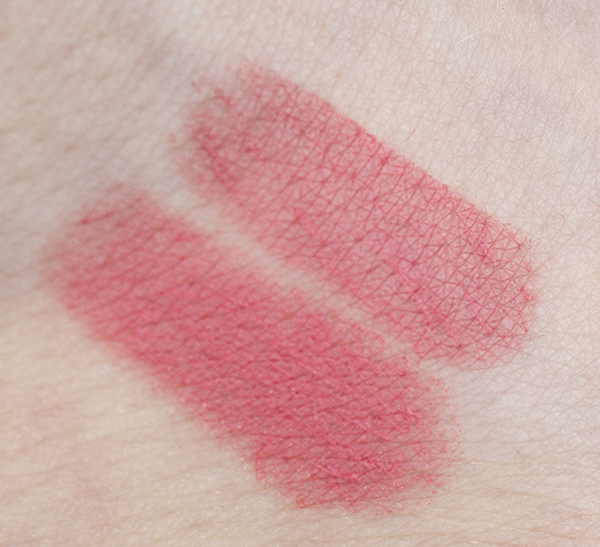 It's a creamy formula however the product does settle into fine lines on the lips and applies a bit streaky at first. I'd suggest wearing a wax/putty treatment or lip liner beforehand. Teeez Cosmetics - Read My Lips Lipstick "Killing Me Softly" swatch, one vs two swipes. ity Color HD Powder sets your foundation for a smooth, matte finish. This finely-milled powder helps blur any imperfections and fills in fine lines to make sure you are always camera-ready. 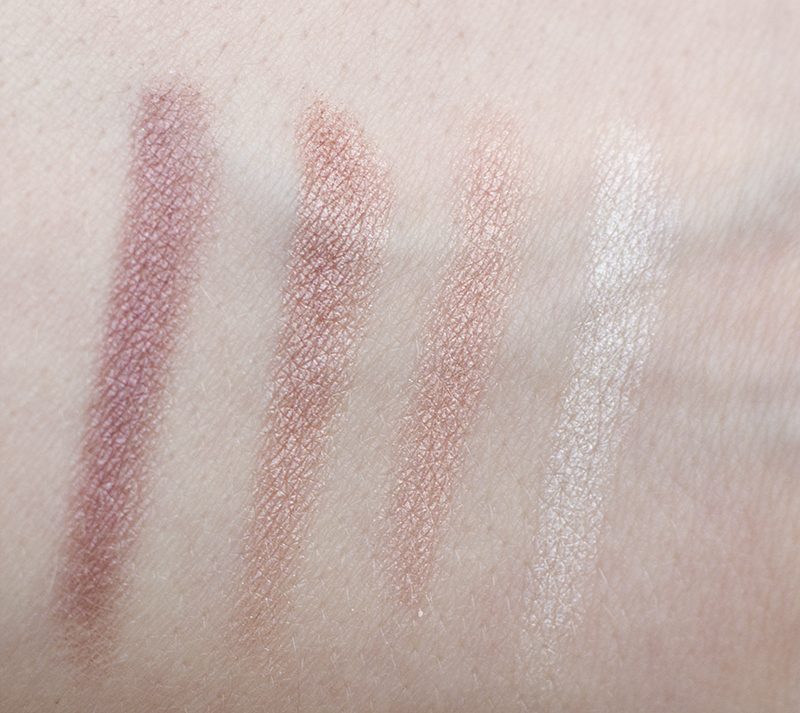 The translucent shade creates a shine-free and airbrushed look that works with all skin tones! Softens and evens out fine lines, imperfections, and pores. What I say: This is a great alternative to some of the higher end HD powders. Considering the ingredients, it's bare basics (just silica powder) and will do its job. Silica powder uses light reflective technologies to trick the eye into seeing a soft focus effect on the skin. It's a definite must for me. No more turning down dates because you have to wash your hair! Perfect for busy girls, the Freshen Up Dry Shampoo keeps hair fresh one day longer, without even washing! The expert formula revives lifeless hair by removing excess oil and adding instant volume - leaving it clean, stylish and smooth. What I say: I got this right after taking a shower so I haven't had the chance to test out how well it works. Will update with that information later! I like that this is a nice travel friendly bottle. It has a nice, fresh scent to it and a powerful air spray. Sprayed on my arm which results in a powdery touch to my skin. Promo code: 65% off at eva-nyc.com using code "IPSYJULY65". I'm personally not fond of this months bag. If next months bag is a dud for me I may reconsidering my subscription. What was in your Ipsy bag this month?